BioBANG is the world leader of biomasses pre-treatment. Its controlled cavitation technology guarantees immediate digestion of all biomass in biogas and biomethane plants for agricultural, industrial and OFMSW field, resulting in higher earnings. BioBANG is an innovative, effective and efficient cavitator that transfers 100% of the energy, cavitates, breaks up and permanently liquefies all types of biomass, even low-cost types, resulting in its immediate digestion in biogas and biomethane systems. BioBANG is the future standard to the biomass treatment and pretreatment for any plant. BioBANG’s Research and Development department. Continuous technical developments, scientific research and comparison make it possible for us to make the most of our technology so you can achieve results that are unrivalled in the global market. 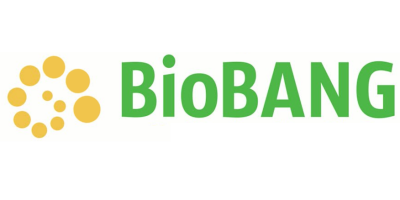 To ensure the best performance, BioBANG works closely with all leading biomass research and development centres, where internationally renowned biologists work with BioBANG’s Research and Development department. Continuous technical developments, scientific research and comparison make it possible for us to make the most of our technology so you can achieve results that are unrivalled in the global market. BioBANG is leader of biomasses treatment and pretreatment for biogas and biomethane plants. BioBANG performs constant cavitation tests on bacteria. With BioBANG, bacteria contained in the biomass does not die, it continues to float in the digester because BioBANG’s controlled cavitation technology is not based on Low-Share energy. Indeed, BioBANG cavitation has a positive effect, improving anaerobic digestion, because breaking up and homogenising the biomass allows bacteria to perform in an optimum manner, resulting in a 100% energy yield.